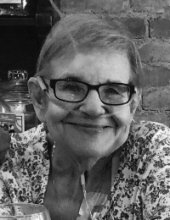 Joan Marie Mercier (Biel), 78, of Owosso, MI, passed away on Friday October 12th, 2018. Celebration of life service will be held at St. Joseph Catholic Church in Jackson, MI on Saturday November 17th, 2018. Details can be obtained by contacting the family after October 20th, 2018. Joan was born in Jackson, MI to Sophie William Biel (Juszczyk) on October 3rd, 1940. She went to school at St. Mary’s High School in Jackson then went on to college at Mount St. Joseph in Cincinnati, OH. She married William (Bill) Mercier on November 28th, 1969. She worked as a medical assistant for Durand Clinic for 10+ years. She was a member of Redeemer Lutheran Church. Joan is preceded in death by mother and father William and mother Sophie Biel (Juszczyk) and Brother Bob. Joan is survived by children Brenda (Bob) Bernath, Thomas (Angela) Mercier, Brother Thomas (Joellyn) Biel, Derek, Dakota, Hannah (Bernath), Grace, Luke, Finley (Mercier) and several nieces and nephews. Memorials may be given to Shiawassee Council on Aging or Pay it Forward acts of kindness. The family of Joan wishes to extend our sincere thanks to Kellie Raymond and Jodi Mallory for their years of compassion and service and the ICU nursing staff at Memorial Healthcare. To send flowers or a remembrance gift to the family of Joan Marie Mercier, please visit our Tribute Store. "Email Address" would like to share the life celebration of Joan Marie Mercier. Click on the "link" to go to share a favorite memory or leave a condolence message for the family.